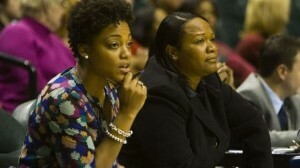 According to the Indianapolis Star, IUPUI head coach has been fired. Hart was let go after an investigation into allegations by former players that the coach violated NCAA regulations and was abusive to her players. The investigation report will not be released to the public because it is deemed personnel information, but Hart’s firing was without cause. Under those circumstances, Hart will receive her full salary through the end of her contract, which was set to expire in the spring of 2013.